This stunning wood heater is perfect for heating small to medium sized areas with coverage up to 180 square metres. The simple, sleek design will complement any modern décor and the curved glass door provides a beautiful view of the roaring fire. The Caliente firebox is lined with SKAMOLEX™ – meaning maximum radiant heat tthrough the large door glass. A clever storage compartment at the base is perfect for keeping firewood close to hand and you can enjoy your wood fire throughout the evening. 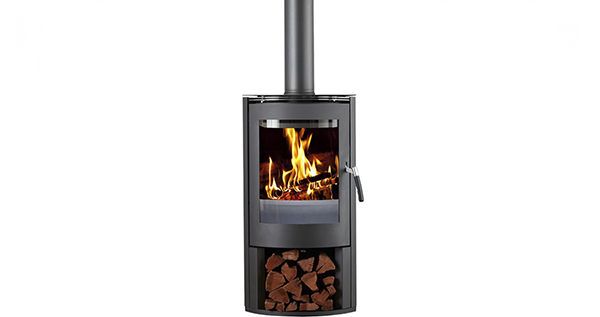 Complete with a 10 year firebox structural warranty, this wood heater is the perfect choice for the contemporary home. The robust and superiorly designed Jindabyne Freestanding Wood Heater.